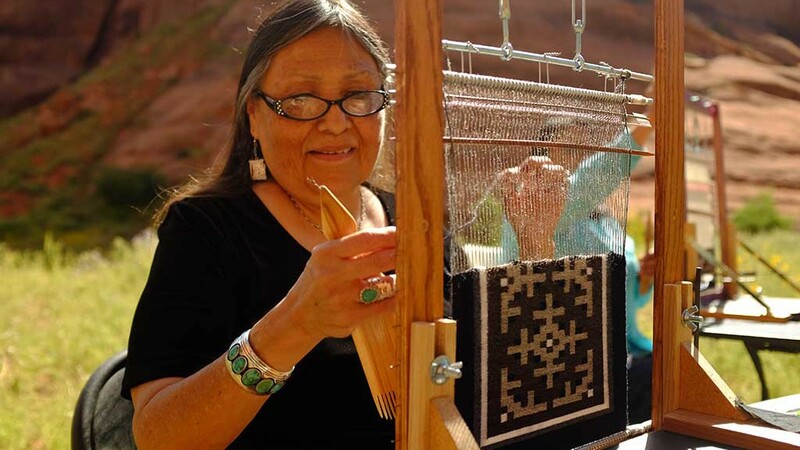 Barbara Teller Ornelas is a 5th generation Master Navajo weaver who specializes in Two Grey Hills style pieces. Her father, Sam Teller, worked at the Two Grey Hills Trading Post in New Mexico, where she was raised with her two sisters and two brothers. 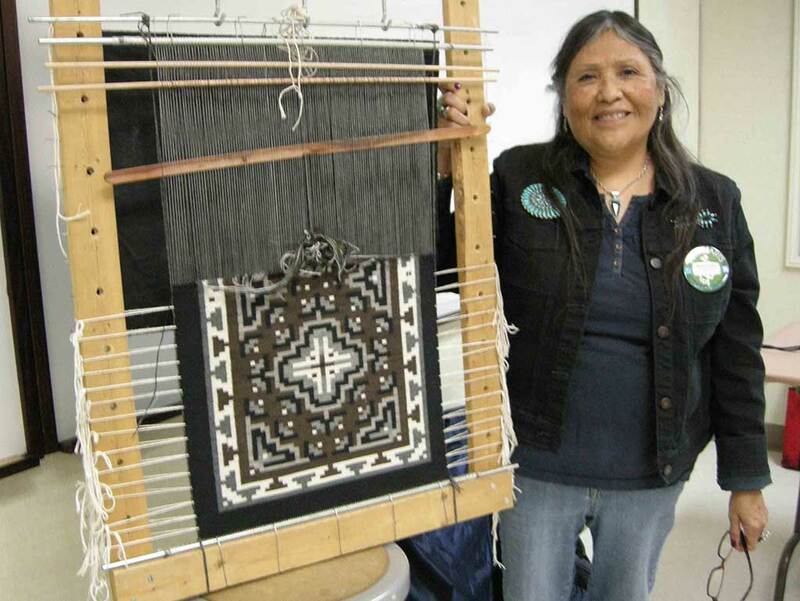 Teller Ornelas learned to weave from her mother when she was 8 years old. The Two Grey Hills style is identified primarily by a double-diamond layout, intricate geometric design using natural colored, hard carded and hand spun wool. 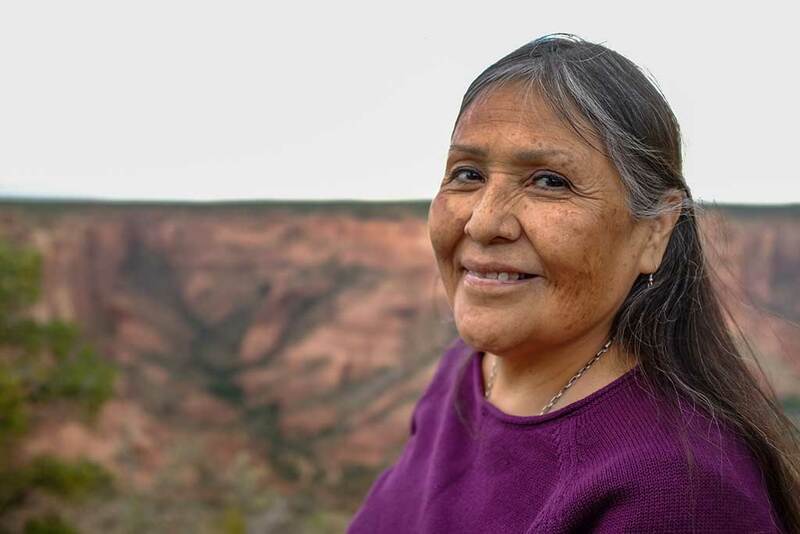 Teller Ornelas feels a “responsibility of carrying on our family’s tradition by teaching my family and mentoring others to help preserve this cultural legacy.” Teller Ornelas teaches Navajo weaving workshops with her sister, Lynda Teller Pete, at Idyllwild Arts Academy’s Native American Arts Program.